This Samurai sword is a one beautiful sword! 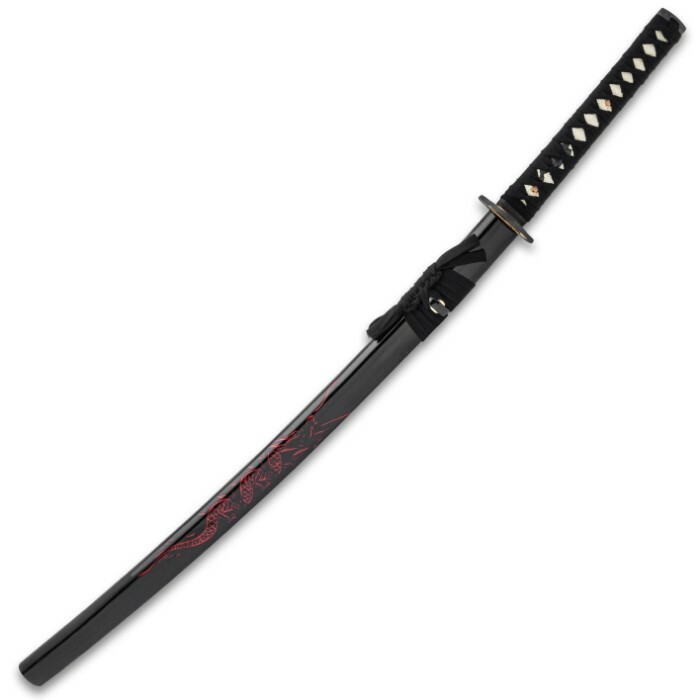 The black scabbard features a red engraved dragon design. The handle has a matching black nylon cord wrapping with imitation ray skin. 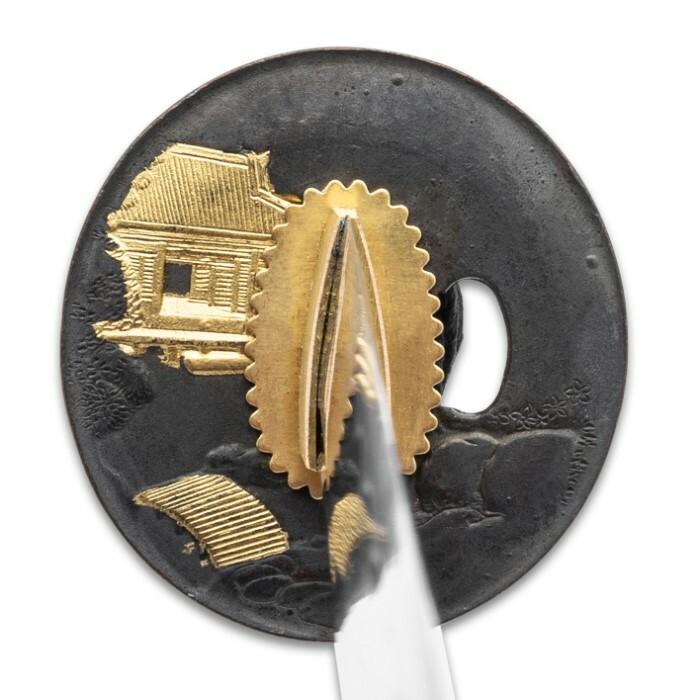 The 1045 steel blade is hand forged for a razor sharp blade and the tsuba is accented with a Samurai soldier to add to the beauty of this sword.